Bangladesh University of Engineering and Technology (BUET) has been chosen for the fourth time to be one of the local hosts for “Hult Prize 2019” and hoping to pinpoint more potential future leaders in Bangladesh with the belief of establishing social business enterprises to ensure a better life for those who cannot afford it yet, the grand finale after many workshops and sessions is going to be held on December 6 at its own campus. “Hult Prize” is an annual social business idea competition hosted and sponsored by Hult International Business School and Clinton Global Initiative with a view to solving one current major issue worldwide. For the last three years, six teams from BUET have made their way to the regional finals in cities like Dubai, Kuala Lumpur, Shanghai and Singapore. With 3 consecutive rounds that assess the competitors’ business perspectives, technological views and presentation skills “Hult Prize at BUET” is held. Over 100 teams, through top-notch competition, only two teams are selected to compete in the regional finals with the finest competitors around the globe. From 2016, “Hult Prize at BUET” has been one of the most sensational events held in the campus. In Hult Prize 2017 and Hult Prize 2018, winning teams from BUET did remarkably well in the regional rounds. Team Sanctum and Team Incite from BUET attended the Shanghai and Dubai regional finals. The challenge of Hult Prize 2017 was tackling the refugee crisis around the world. Note that the Hult Prize is offered in partnership with Former US President Bill Clinton and the Clinton Global Initiative (Clinton Foundation). It is hosted and supported by Hult International Business School. And it is generously funded by Swedish entrepreneur Bertil Hult and his family. It has been called the “Nobel Prize for Students” by Nobel Prize Winner and annual jury member, Professor Muhammad Yunus. 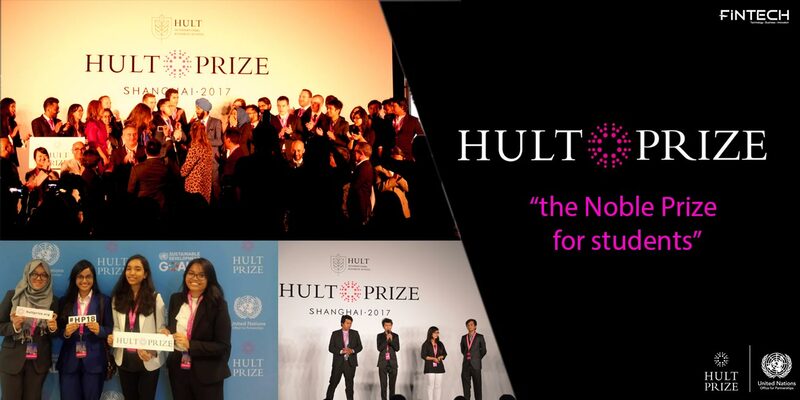 The Hult Prize is the largest competition for students around the globe for creation of social businesses which awards one million US dollars as a start up funding to the team with the most prominent solution of one of the world’s roughest challenge.